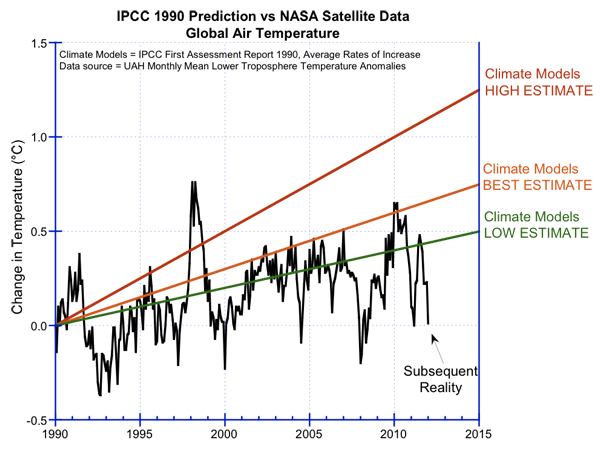 "Every serious skeptical scientist has been consistently saying essentially the same thing for over 20 years, yet most people have never heard the message. (...) The serious skeptical scientists have always agreed with the government climate scientists about the direct effect of CO2. The argument is entirely about the feedbacks. 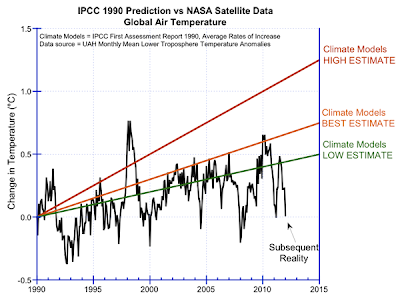 Predictions of the IPCC's First Assessment Report in 1990, compared to the subsequent temperatures as measured by NASA satellites. (T)he "debate" is about politics and power, and not about science or truth."